Israeli right-wing activist Baruch Marzel called for the execution of all Palestinians who are shot and injured during alleged anti-occupation attacks instead of providing them with medical treatment. In an interview with Arutz Sheva, Marzel, a rabbi, said, "I've noticed that the State of Israel has been deteriorating since the Elor Azariya affair. “The time has come for the Israeli government to stop humiliating its victims and the people of Israel. The terrorist must not be treated. A terrorist must die as soon as he comes to harm Jews," he continued. The Israeli soldier Elor Azariya who shot and killed a wounded Palestinian, who was incapacitated having already been shot, has been sentenced to 18 months in prison for manslaughter. The March 24 shooting, in the occupied West Bank city of al-Khalil, was filmed by activists from the Israeli B'Tselem human rights group. That video shows the young Palestinian lying on the ground while bleeding. Azariya then delivers the fatal blow, shooting him again in the head without any provocation. A Jewish rabbi has urged Israeli occupation forces to “finish off” wounded Palestinians who carry out resistance attacks, and to refrain from providing them with medical treatment or first aid, leaving them to bleed to death. However, according to the PNN, the facts on the ground indicate that Israelis have been continuously targeting unarmed Palestinians. 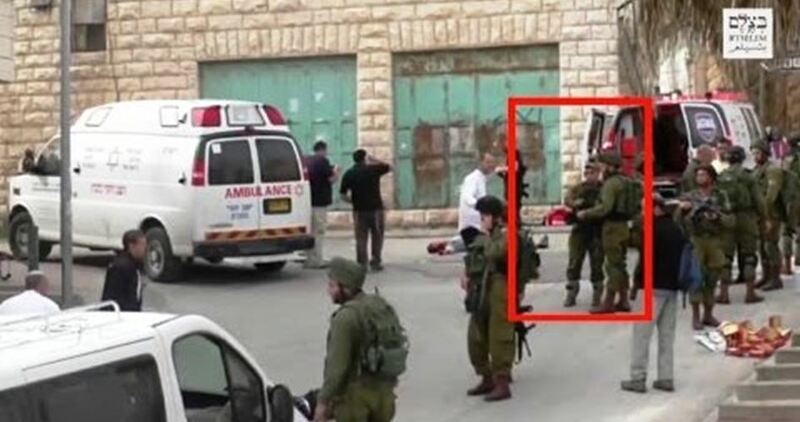 The most recent incident was when a member of the Givati Brigade killed a young Palestinian man, Mohammed Musa, 29, and left him to bleed to death. His sister Latifa Musa, 33, was wounded, which forced the brigade’s leadership in the occupied West Bank to reprimand the soldier and dismiss another officer. 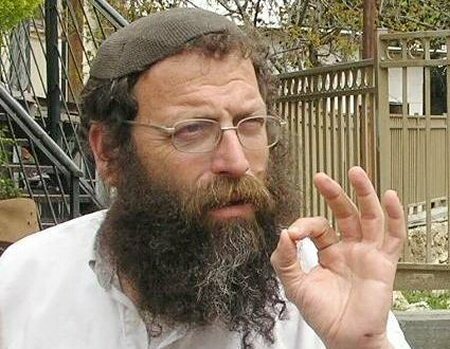 Marzel also told Israel’s Channel 7: “The terrorist is evacuated by [Magen David Adom, Israel’s national emergency medical service] MDA to our hospitals and receives treatment for hundreds of thousands of shekels alongside the wounded Jew. District court also orders rabbi to pay NIS 250,000 fine; he was found guilty of issuing false Torah education certificates to members of the security forces, making them eligible for pay raises. Former Chief Rabbi of Israel Eliyahu Bakshi-Doron was sentenced Thursday to probation and ordered to pay a NIS 250,000 fine after having been convicted of fraudulently obtaining benefits, providing false identification and breach of trust. Jerusalem District Court Judge Zvi Segal accepted a plea deal reached between the sides, as part of which the rabbi relinquished his pension rights while the prosecution conceded its demand to have the court find him guilty of moral turpitude. Bakshi-Doron was indicted in 2012 along with several other Chief Rabbinate officials for issuing 1,500 false Torah education certificates to members of the security forces, making them eligible for pay raises. Bakshi-Doron's trial lasted for more than four years and the offenses attributed to him were committed more than 15 years ago, during his tenure as Chief Rabbi of Israel. The indictment alleges that from 1999-2003, Rabbi Yitzhak Ohana, Director of the Rabbinical Examinations and Accreditation Department, was asked either directly or through intermediaries to issue certificates to members of the security forces who studied at various colleges. The fraudulent documents contained false information regarding the true scope of the supposed studies, including credits, hours studied, and past and future academic activities. According to the indictment, Rabbi Ohana eventually approached Rabbi Bakshi-Doron and requested assistance in dealing with the issuing of the fake certificates. Bakshi-Doron instructed Ohana to issue members of the security forces certificates for higher-level religious education and "turn a blind eye" to the criteria in order to "close the matter." 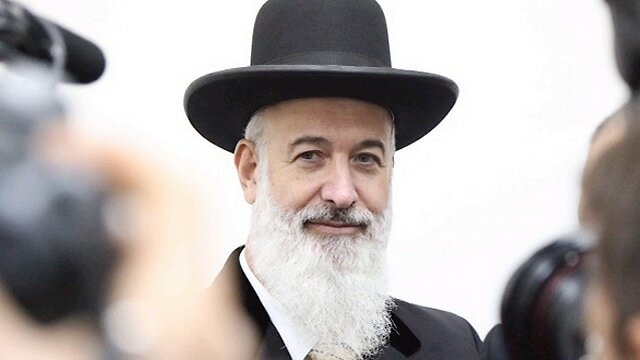 Rabbi Yona Metzger signed a plea agreement in which he admitted to accepting millions of shekels in bribes and committing fraud while serving as Israel's chief rabbi; Metzger will serve three and a half years and pay a fine of NIS 5 million. 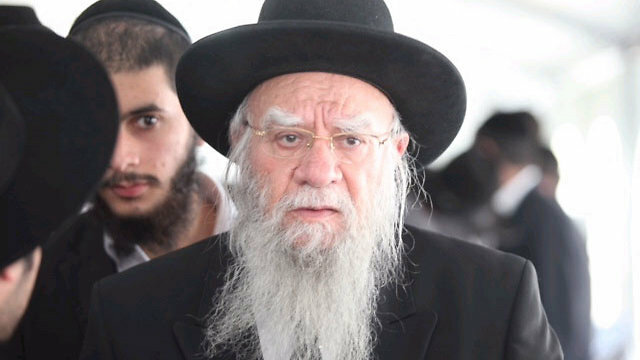 Former Ashkenazi Chief Rabbi of Israel Yona Metzger signed a plea agreement with the Jerusalem district attorney Tuesday evening in which the rabbi pleaded guilty to charges of bribery and fraud and will serve three and a half years in prison. Metzger was also fined NIS 5 million by the court. The prosecution issued an indictment against Metzger for committing bribery, fraud and tax crimes during his tenure as chief rabbi. The Jerusalem District Attorney's Office said, "The prosecution insists upon a longer sentence and a higher fine, especially for someone who committed crimes while in such a senior position when he should have been serving as an example. He used his position to rake in money for his own pocket." Metzger's defense team, lead by Tal Gabai and Yehuda Freid, will reportedly seek a sentence of two years as opposed to three and a half. Additionally, the defense has reported that one of the rabbi's apartments will be forfeited. Metzger was charged in October 2015 with bribery, fraud and brach of trust. According to the indictment, Metzger received a bribe of NIS 10 million, NIS 7 million of which made it into his pocket. "This is the place to reiterate that even though the indictment says bribery, this is not classic bribery," said Metzger's defense team. "Whoever reads the details understands these are brokerage fees between donors and NGOs, and were it not for the rabbi, there would be no contributions at all; there was no malicious intent on his part." In one case, the two raised funds for a yeshiva operating in Metzger's synagogue. According to suspicions, the driver received a $28,000 donation, handed it over to Metzger, and it was divided between the two of them without being transferred to the yeshiva. Another donation of NIS 72,000 was given by an Israeli businessman to an association providing food to the needy. After receiving the funds, the association's director allegedly gave Metzger 30 percent of the donation, about NIS 22,500, without informing the donor. According to the indictment, this was repeated many times. During Metzger's term as chief rabbi from 2003 to 2013, he allegedly received financial benefits from private people for activities related to his position. These benefits were received on many opportunities, both during private events and as a payment for the rabbi's participation in events held by the people who provided the benefits.